This week, I am in Seoul, Korea, for the third and final residency period of my Asbury Theological Seminary doctoral program. It's good to be back with my cohort (and the "Asbury Eight"), and it's good to spend some face-to-face time with our professors, some of whom have come to be good friends. Being in Korea again reminds me of the one of the first times I came here more than two decades ago. Like many young church planters in the early '90s, I took a pilgrimage to the Yoido Full Gospel Church (the largest megachurch in the world) to learn about prayer, small-group discipleship and church growth. In the late '80s and early '90s, Korea was in the midst of a historic revival. In the middle of the 20th century, after many centuries of glacial church growth in the traditionally Buddhist nation, something totally unexpected happened. Protestant Christianity exploded. From 1960 to 1990, the church in Korea doubled every 10 years—growing from half a million in 1960 to 8 million in 1990. The Korean revivals have been analyzed from many different angles by missiologists and church-growth experts (and critics), but three leadership lessons have stuck with me over the years since I first visited Seoul. 1. God reached Korea through urban megachurches. 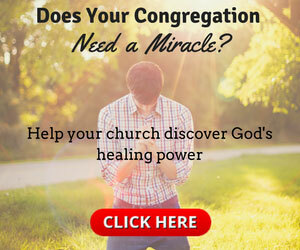 In a cultural moment when megachurches have become an object of scorn and are seen by some vocal critics as a symbol of everything that is wrong with "Western Christendom," it is helpful to remember that God usually doesn't consult us about when, where and through what means He will build His church. To paraphrase my friend Ed Stetzer, God used the house church to reach China, and He used the megachurch to reach Korea—and both of these revivals were happening at the exact same time. Though most people have heard of Yoido Full Gospel Church, many people don't realize that the city of Seoul is dotted with megachurches. At one point, five of the world's 10 largest megachurches were in Seoul. Megachurches are both a sociological phenomenon (requiring unique demographic and cultural conditions) and an ecclesiological phenomenon (requiring unique human and divine elements). To discount this method by which God built His church in Korea (and around the world) is both arrogant and ignorant. 2. Revivals in Korea resulted in a Korean missionary movement. My long-held admiration for the Korean church is not rooted in the seating capacities of its many megachurches but rather in its sending capacity. As a direct result of the revival of the 1960s, '70s and '80s, the Korean church was catalyzed for global mission. In fact, by 2003, there were over 12,000 Korean missionaries in 160 nations. This means that the Korean church has sent more missionaries around the world than any other nation except the United States. When I think about the rapid church growth that has transformed Philippine Christianity in the 1980s, '90s and early 2000s, my prayer is that our church growth (both at Victory and at other churches around the city) will result in a Filipino missionary movement. 3. The Korean church is aging. Though Korean revivals and missionary movements are inspiring, some recent trends are sobering. For example, while the Korean church grew rapidly in the 1960s, '70s and '80s, church growth plateaued in the '90s and was in slight decline in the early 2000s. On the one hand, we should all be humble enough to know that only God can bring revival and rapid growth. But on the other hand, we should recognize that sustained multigenerational growth cannot happen if established leaders do not equip and empower emerging leaders. If we do not build for and build with the next generation, we will lose them. Being in Seoul again has reminded me of the urgency of my dissertation research—as I reflect and write about post-founder sustainability in both megachurches (like Victory in Manila) and church-planting movements (like Every Nation). As someone who has had a front-row seat to many decades of rapid church growth and global missionary expansion, I want to learn as much as I can from my brothers and sisters in Korea through whom God has done, and is still doing, great things. Steve Murrell serves as the president of Every Nation Churches and Ministries, a ministry that does church planting and campus ministry in over 70 nations. This article originally appeared at stevemurrell.com.